A brand is not merely a logo to promote business. Well, many new faces in the industry are deeply confused to separate the brand from logo or symbol. They are not able to do a perfect evaluation. Frankly speaking, a logo is the basic identification symbol. A brand is a special thing to inspire consumers, to put much emphasis on the particular product or business ignoring others. Logo of the company is common for people to track the business or the particular person behind the large corporate sector. It is a formality to use a logo for enabling consumers to grow closeness with the company to a great extent. A brand is much more important to the vast network than just symbol. There is a bond of emotion and consumers are attracted by the brand. A brand is the quality of the product. That means you have craziness to know about the various activities of the company because of the excellent brand. It specializes in certain spheres and it is you who are desirous or curious to learn about the innovation. So, brand distinguishes your company from rivals whereas logo is the simple identification mark to monitor the company/business. Right now, online business branding program is really awesome due to the investment of tons of money, technology, talent and manpower to enhance the faster business expansion more dynamically. 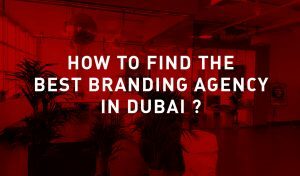 As described by some popular branding agencies, Brand of a product has its own identity and it also motivates consumers to give excessive priority to the business which has the classic brand. 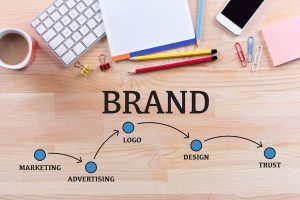 You can’t overlook the importance of proper business branding online. Logo helps customers to search for the right brand. However, there are bundles of factors to build up the good reputation in keeping the brand name of the organization in high stature. Logo designs are colorful and very attractive. Use new images and colors to do the artistic paintwork. Truly speaking, logos of business online entice young buyers to visit the sites. However, a brand is typical with a vision to make the company gallop fast to reach the destination. Right now, online entrepreneurs launch and optimize e-commerce portals. They have to display pictures and post glossy content with samples, plans, and projects to lure customers. At the same time, these big brothers must convince their beloved customers about the specialty in products. 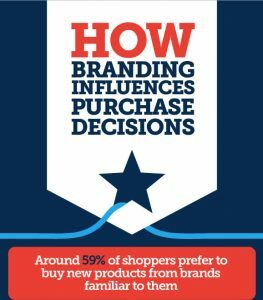 According to some top branding agencies, Simply spending dollars to design logos or tagline can’t boost up buyers to buy products which are not up to the mark. So, the objectives of business branding programs include proper evaluation, analysis, product description and innovation in offering services. At reasonable prices, your company needs to give qualitative products. In addition, the basic communication with consumers must not be improvised. Customers will have fast online chatting, email, SMS, phone-in conversation and content sharing to get interesting information. Mention the excellent pros of your business. You are responsible to deliver products if you have large online storefronts. Your company must have round the clock helpline center to assist customers to have an on-screen solution. Why people like to use mobile iPhone over other phones, illustrate that the business branding by including more sophisticated add-on tools to modify the method of product promotion. computer screen. This kind of breakthrough is what many musicians and artists alike have been waiting for in many years already.